For all the veterans who served their country bravely and returned home to find work scarce, here are some resources to help ease you into the job market. After reading the wonderful article, “Wanted: A Good Job and Some Understanding,” posted in the New York Times by writer, soldier and vet spokesman Jonathan Raab, it became apparent that while millions of people in this country face the crisis of unemployment, other Americans – those who protect and serve this country through military service – are finding it even more difficult to land a job once they return from fighting overseas. According to the Bureau of Labor Statistic (BLS), in 2010 20.2 million men and 1.8 million women civilians were veterans. These numbers include those who have served as far back as World War II. Unfortunately, as stated by Kelly Harvy, WritersDigest and AceWriters expert in human resources, the unemployment rate in 2010 for veterans who have served since September 2001 was at 11.7%, while the August 1, 2011 TIME.com article, “More Young Veterans Jobless,” put the current unemployment rate for veterans at around 13%. Both numbers exceed the current national average of 9.2%. Everyone needs a helping hand when it comes to finding employment, especially our returning service men and women. To help them out here are several veteran-friendly job search resources. 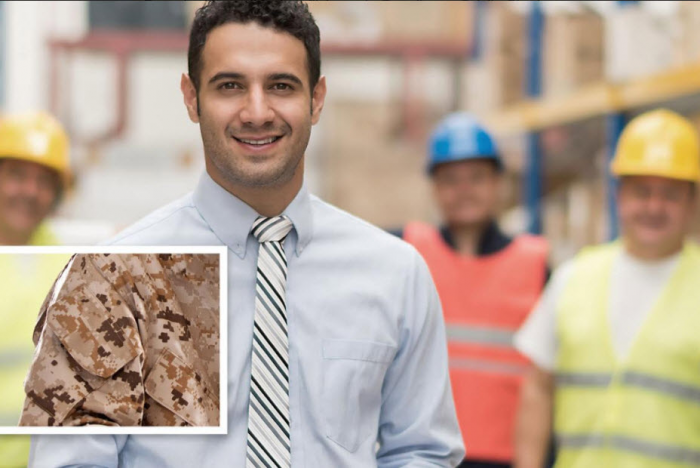 If you’re a veteran and your goal is to land a civilian job with the U.S. government, you’ll need to contact the U.S. Office of Personnel Management. Before you do, know there is a veteran-specific employment website. FedsHireVets.com is the “one-stop resource for Federal veteran employment information.” It is filled with success stories, news, employment data, upcoming career events and employment opportunities. One great place for returning veterans looking for employment opportunities to check out is their state employment development department. Though it might go by a different name in your state, essentially it is the state government resource that offers veterans Career One-Stop services such as counseling, job referrals, job search workshops and job development opportunities. In partnership with the Department of Labor Veterans Employment and Training Services (DOL VETS), the U.S. Chamber of Commerce has created a program appropriately titled Hiring Our Heroes: Business Steps Up. The Chamber explains that it offers a federation of 2,500 state and local chambers and industry associations spanning nearly every state and city. This infrastructure offers a solid foundation to connect veterans and military spouses with employers. The organization’s main focus is to conduct 100 hiring fairs for veterans and their spouses. You want to attend a career fair. However, you a) can’t find an appropriate event in your area, b) found an event that requires you to drive for an hour and pay for parking, or c) hate the idea of attending a job fair only to be told by prospective employers to check out their website. If any (or all) of these apply to you, check out Milicruit, the online virtual career fair designed to bring veteran-friendly employers, veterans and their spouses together via the internet. Now you can search for work from the comfort of your home. While finding a job is important, what if you have needs that go beyond employment? The National Veterans Foundation offers crisis management, outreach services and public awareness in addition to employment resources. The article “Green Collar Jobs Need Blue Collar Skills” suggests there is a labor shortage for jobs in sustainability because there is shortage of qualified machinists and technicians. If you’re a veteran and your goal is to land a green job, there are resources such as VeteranGreenJobs.org and Veteran’s Green Jobs Academy. The Academy is located at Northern New Mexico College and offers job training for careers such as environmental technician, water quality specialist and wildland firefighter. Don't fight with other candidates for a job. Create your own. There are several entrepreneurial resources available to veterans, including VetBiz.com for those who want to open a franchise and The Vets Group. Not to be confused with DOL VETS, The Vets Group (The Veterans Enterprise Training & Services Group) focuses on helping veterans start or expand their small business. You might also want to consider using your veteran’s education benefits for entrepreneurial training. Yes, looking for work is tough these days. But know there is a wide range of employment and business opportunities available for veterans. And if you know of any others, please share them in the comments section below. Scarlet Klenn, a guest blogger from Chicago, majored in social studies and volunteers at Chicago Vet Center.